AISIN COSMOS R&D CO.,LTD. 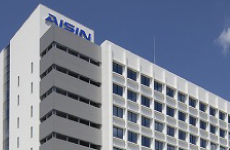 (herein “we”), as a member of AISIN group, promote complete compliance regarding“AISIN Group Charter for Corporate Behavior” and give familiarization to all employees regularly in order to achieve this policy. Corporations are required to observe the law and social etiquette, and it is necessary to acquire social trust and to maintain our sound development. We as a whole we aim to achieve and maintain our policy by compliance to this regulation and fair behavior. We work on world-wide business activities based on “High Quality” to contribute to a sustainable development of society and the earth. In order to do this, we act with respect for human rights, observe the law and international rules including their spirit and social common sense on the domestic and foreign territory based on the following 7 principles. We develop and provide socially beneficial goods and services that give satisfaction to customers, consumers, and other members in society. We engage in fair, transparent and free competition and ensure that transactions are appropriate. Also, we maintain a sound and proper relationship with political bodies and government agencies. We resolutely confront antisocial forces and organizations that pose a threat to the order and security of civil society and sever all relations with such groups. We interact with the public in addition to communicating with shareholders, and actively and fairly disclose corporate information. Also, we protect and properly manage personal and customer data and all other kinds of information. We respect personality, individuality and diversity of employees, and ensure a safe and comfortable working environment. We proactively initiate measures in acknowledgment of environmental issues, the common challenges they pose to humanity and their importance to its existence and livelihood. We actively contribute to society and involve in community activities as a good corporate citizen. The top management will recognize that it is their role to embody the spirit of this Code of conduct and that they must take the lead not only in enforcing it within the company but in conveying it to our group companies and business partners. When a situation which is contrary the policy occurs, top management will handle the issue and take necessary measures to prevent them. We comply with applicable laws and initial terms relating to public research expenses. For this, we set up a structure of responsibility and inspection system and a desk for consultations and complaints to observe the policy. And we hold information campaigns to familiarize officers and employees with company policies and rules (rules for handling and preventing improper use of public research expenses, Whistleblower Protection Act) to prevent injustices. Chief executive President Establish and familiarize employees with the rules to prevent impropriety and set necessary measures for them. Show leadership for Supervisor of General Management and Compliance Promotion Manager. Managemen Manager of Planning and Administrative department The cross-departmental manager conducts the measures to prevent impropriety and set the concrete measures which are based on the basic policy, carry them out, check the progress and report to the Chief executive. Manager Theme leader of technology Responsible for managing and operating his own department and carrying out and reporting of impropriety prevention measures to the Supervisor of General Management. Give employees training, carry out monitoring, manage public search expenses and improve quality. ntroduction of the origin of our company name.